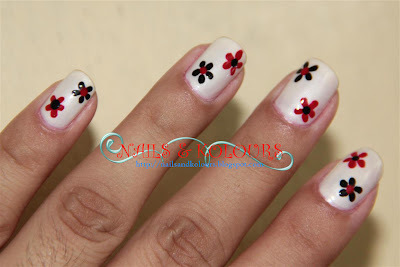 I had these nail art on my nails for a week, a very simple design I painted intended for my trip to Davao City. I called them the small "Black and Red Flowers". For the base color polish, I used Revlon's Stone Wash.
Acrylic paints were used for the design. Quite satisfied with the design and and the nail polish I have used. It did stayed for a week without chipping. 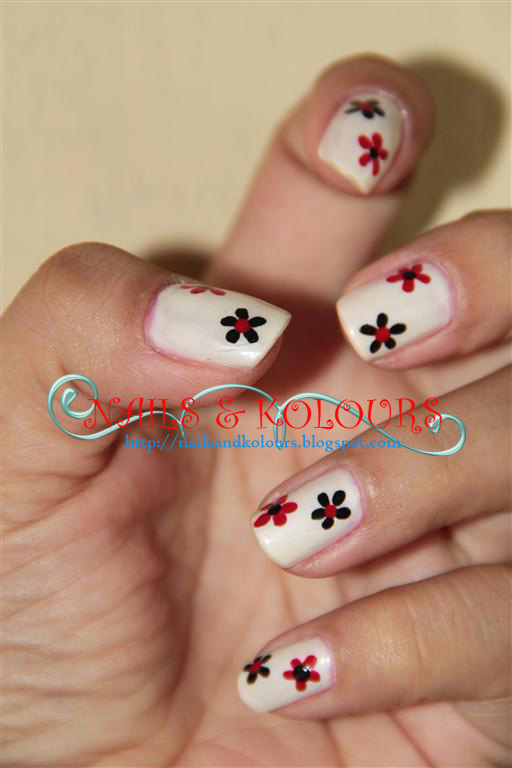 Nice combination of black and red flowers on white background. Nice nail art. Love the flower design. Very nice! You could make a business out of what you love. Impressive. These are nice. I love the white polish of them all :) Visiting from CommEx Sept25. Wow! You should open a nail art salon or something.You're really talented..